Summer is here and gardens are all abloom. Unfortunately, your herbs and veggies aren’t the only things that love this time of year. Garden invaders, like sorrel, clover, and crabgrass are growing strong too. Of course, sometimes, it can be hard to tell which are actually weeds, and which might be highly useful and healthy plants. While most people would agree that weeds are unwanted additions to a lawn or garden that invade the landscape and take up valuable water and nutrients, actually defining the specific difference between a weed and a regular plant can be a little more complicated. In general, a weed can be characterized that anything a gardener believes is an annoying, unwelcome plant. Even flora like wild violets can technically be considered a weed, although some appreciate the hints of color they bring to their yard or garden. That’s why perceptions about common weeds are largely up to the individual. Dandelions can be seen growing just about anywhere, though they seem to be very fond of lawns, and most people consider them to be a weed. But dandelions are actually quite versatile and have multiple uses. For example, you can chop up the leaves and use them in a salad – they’re a great alternative to arugula, and, they’re packed with vitamin A, vitamin C, and beta-carotene, and the roots contain inulin and levulin which are known to help regulate blood sugar as well as taraxacin which aids in stimulating digestion. You can take advantage of the roots too, using them medicinally to treat urinary tract and liver problems. Chickweed, also known as satin flower or starwort, can be found throughout North America, most commonly as a land weed. It actually makes a great ground cover as it grows out instead of up, and studies have found that it offers anti-inflammatory properties. You can brew the leaves to make a tea that can soothe digestive problems like ulcers as well as a bladder infection, or use them in a salve to relieve skin problems like psoriasis or eczema. While you’re probably thinking of the banana-like fruit, plantain weeds are common throughout the world. But it’s an edible weed that has a nutritional profile similar to dandelion, meaning it contains a host of important vitamins and minerals. The leaves are tastiest when they’re small, as the larger they get, the bitter they are. Fry them in olive oil to bring out their nutty, asparagus-like taste, or blend them up to make a salve that can be used to help a cut heal faster. While you have to be very careful handling them, and always use gloves, stinging nettles are actually rather delicious when prepared as a tea or cooked. When they’re steamed or boiled, those tiny needles fall off, and you’ll get a wealth of nutrition, including essential minerals that just can’t be found, other than from a multi-vitamin anyway. They offer magnesium, iodine, phosphorus, potassium, sulfur and silica. And, they even have some protein too, more than most plants. Purslane is that stuff you see growing in sidewalk cracks – it’s everywhere, and it’s all edible: the stems, flowers and the leaves. It can be eaten raw in a salad or lightly sauteed to enjoy its nutrition, which includes vitamin A, vitamin C, vitamin E, carotenoids and minerals like iron, magnesium, calcium, and potassium. Just don’t get it mixed up with a similar weed, spurge, which is much thinner and contains a milk sap. Clover is a wild weed that can be made into a tea, although red clover is the most highly sought-after type of clover, as it’s renowned for its unusually high nutritional value. It’s loaded with many valuable nutrients, including vitamin C, calcium, magnesium, chromium, niacin, potassium, phosphorus and thiamin, but it’s especially noted for its isoflavones, which are water-soluble compounds that act like estrogens. That makes it effective for addressing issues like hot flashes and PMS, as well as lowering the risk of osteoporosis, improving blood circulation, and much more. Plus, its deep pink flowers looks absolutely gorgeous when blanketing a field in the springtime. If you’d prefer to take advantage of as many of the weeds you can, you might want to pick up a guide so that you can properly identify any and all wild edibles, such as A Field Guide to Edible Wild Plants. Another option is to ask a botanist or local herbalist to take you on a “weed walk.” Once you know which weeds you have that you have absolutely no use for, you’ll want to get them out of your garden without having to resort to nasty chemicals that will not only damage the quality of your soil and crops, but could harm the environment as well as your health, the health of your family, pets and wildlife. On that note, we’ll give you some ideas to get you started. Sure this sounds simple, but anyone who has tried to keep up with weeds by pulling them knows that it’s not always so easy. For weeds close to your herbs or veggies in raised beds and containers, it’s often the best way to go. The best time to pull weeds is when the soil is still moist from watering. Pull slowly from the base of the weed to get the best chance of pulling a root out and make sure to use garden gloves for spiny plants like thistles. Some weeds that have more of a fibrous root system are still fairly easy to remove yet are less messy if pulled when the garden soil begins to dry slightly. Another good way to curb your weed population is to remove them when they are young before they have had the chance to go to seed. You can collect all the weeds you’ve pulled and add them to you compost pile, so they’re actually contributing to the health of your garden. If you picked up a field guide, be sure to keep it with you so that you can identify any weeds you might want to keep that you didn’t notice previously. Just like the plants you actually want in your garden beds, weeds have a hard time surviving without adequate sunlight. You can kill existing weeds, prevent new ones from growing, AND help keep moisture in the soil for the plants you do want using a little bit of old newspaper and some garden mulch. Simply cover the area with several layers of large newspaper strips (newspaper is biodegradable), then put enough mulch on top of the paper to cover it completely. If some strong weeds manage to push through your first attempt, just add another layer of newspaper and then some more mulch. The result will be suffocated weeds and no more growth of these unwanted plant companions. Chemical herbicides are a bad idea for all, but you can make your own homemade herbicide without chemicals fairly easy. Get a good quality spray bottle and fill it with 2 cups of white vinegar, a half cup of salt and a tiny bit of dish soap. Make sure you mix it up very well so that the salt dissolves as much as possible, or the spray bottle might get clogged up. Be careful using this remedy near your garden beds because it could kill your veggies as well. If you’re having trouble with the sprayer getting clogged you can also try a 50/50 vinegar and water solution. The next time you’re boiling potatoes or pasta, instead of dumping the water down the drain, dump it right onto the weeds growing in the cracks of your sidewalk or patio or along garden paths. You’ll need to do it right away, however, as the water needs to be boiling or close to it for it to work. Be careful of your hands and feet, and keep children and pets away. Go slowly and concentrate when carrying the hot container. Don’t try this method with garden beds as it will damage the quality of your soil and kill anything it touches. This is another method you need to be very careful with and is best for areas where you don’t want anything to grow again, ever. But a simple sprinkling of salt along the edges of your lawn, between cracks in the sidewalk or in garden pathways will kill weeds. Be careful, though, it leaves the soil barren and can damage concrete. At the end of the snowy season, you can usually get a pretty good deal on rock salt, which works great for this, but any kind of salt will do. This is my favorite weed killing method. You can get a propane powered weed scorcher at most garden stores (or just use a handheld blowtorch, like the kind you’d use for making crème brulee). You don’t have to actually set the weeds on fire – in fact in an area with dry grass that can be pretty dangerous – just running a hot flame over them will usually cause them to lose all their internal moisture, they will shrivel up and die in just a few days. It can actually be a lot of fun to watch them disappear in a puff of smoke. The heat boils the water in the cells of the plants, which is what causes them to burst and die. If done properly, it can also wipe out soil borne diseases and many garden pests. All you will need is some thin, clear plastic that you can find at most garden stores. Before you begin, till and rake the soil clear of any debris and dig a small trench (about 8” deep) around the outer edges of the bed. Lay the plastic over the bed and place the edges in the trench you dug. 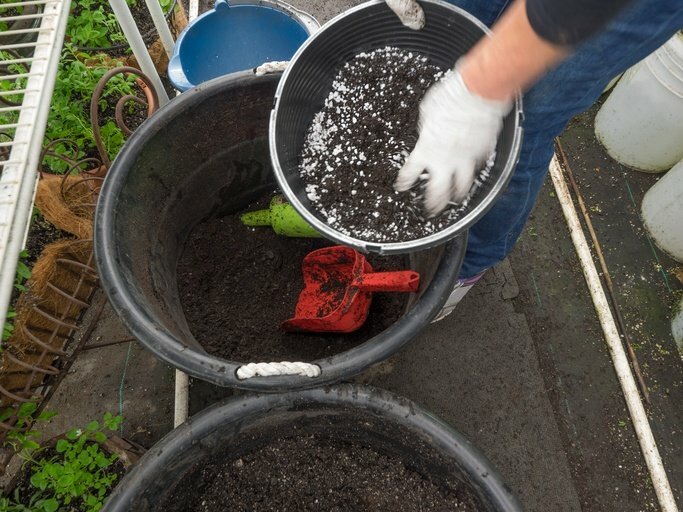 Re-fill the trenches with soil, making sure the plastic fits tightly around the bed so it won’t blow away or get moved around. Leave the plastic there for 4-6 weeks. When you remove it, till the soil again and add in your compost or fertilizers. You will have a healthy garden bed, ready for autumn planting that will have significantly fewer weeds than your other beds. We’re not talking about diesel oil, old engine oil or gasoline – those things are all toxic to your soil and should never be used on garden weeds, but you can use cheap vegetable oils, like sunflower or canola oil. These oils are biodegradable and are broken down by bacteria in the soil, and contain natural herbicide and pesticide properties. Essential oils are effective weed killers too, particularly clove, summer savory, cinnamon and red thyme. Use any of the oils mentioned, and simply dribble the oil onto the weeds so that it coats and smothers them. Chickens have many uses in addition to supplying fresh eggs – they can even help tackle your weed problem. They’re great at scavenging in the garden and lightly tilling the soil too. 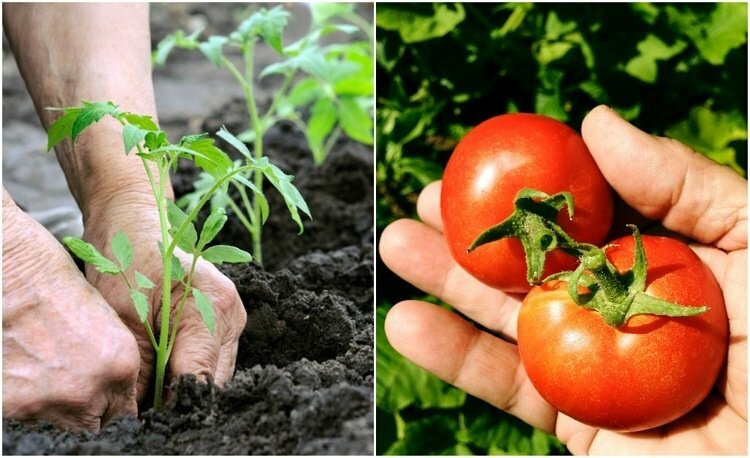 While preparing your garden bed each spring, chickens will happily pluck at those early growing weeds and devour the seeds of weeds that are waiting to sprout as the season progresses. At the end of summer, let your chickens run amok so that they can clean up your garden, along with any pests and weeds, they scratch and peck away, getting at those weed bulbs and bulblets. Corn gluten is a natural byproduct of processing corn into corn meal that can stop seeds from becoming full-grown weeds. It won’t harm existing plants and as an added bonus, it has high nitrogen content, so it feeds your soil as well. As it will prevent germination, spread it around your established plants, and after seedlings and transplants have taken hold in your soil. Spread it again after harvest to prevent late-season weeds.